NEXTracker CEO and founder Dan Shugar has seen the costs of solar power production drop eightfold since he was at solar pioneer PowerLight a decade ago. That firm built the world's first 10-megawatt PV project (in 2004) and was acquired by SunPower for more than $300 million in 2007. Years ago, before the SunPower acquisition, I shared a plane ride with Shugar and watched him survey the landscape as we landed in Palm Springs. He mentioned that he saw every flat roof as a potential customer. He was driven then and he's driven now. Solar tracker startup NEXTracker, his most recent effort, just got acquired by Flextronics for up to $330 million. Nancy Pfund, an investor in NEXTracker at DBL Investors, was also an investor in PowerLight when she worked at JPMorgan. 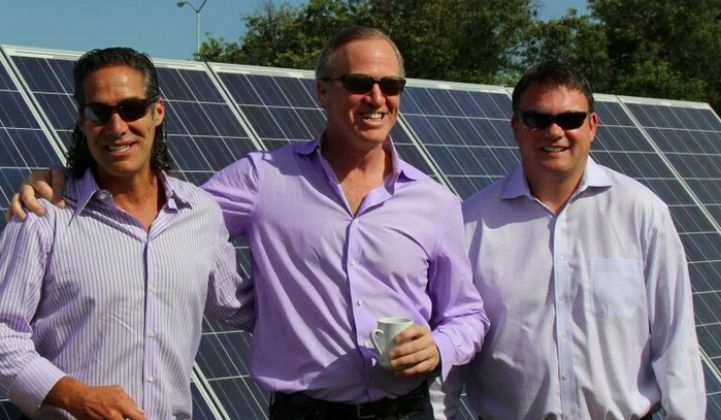 We spoke with the CEO last night to get his take on the solar industry and his new boss. Shugar pointed out the obvious benefits of having a Fortune 100 parent with $25 billion in revenue across dozens of countries and more than 150,000 employees. It means bankability and a "financial backstop," according to Shugar, as well as making it easier to operate in countries with "challenging business climates." It means access to Flex's international supply chain and manufacturing culture, as well as an infrastructure that excels at moving currency, people and parts across the globe quickly and efficiently. But Shugar posits that there's something more to the acquisition -- and that there's strong reasoning for not having sold to a solar company with visions of vertical integration. Shugar suggests that solar has entered a new manufacturing era. He said that vertical integration made sense when SunPower acquired PowerLight or First Solar acquired OptiSolar's projects and bought tracker startup RayTracker. But given the cost plunge that solar has experienced and the sheer scale of the industry today (see GTM Research's most recent U.S. solar report that has the U.S. installing more than 1 gigawatt of PV every quarter, with a cumulative 20 gigawatts now installed), Shugar believes that this acquisition brings the solar industry to the "next level of a new manufacturing model." Shugar said that at a certain scale, vertical integration becomes suboptimal, as one company can’t be “best in the world at everything” and instead, solar's manufacturing future will look more like the automotive industry or the wind industry. The CEO said that this will allow the industry to better reduce the cost of the final product: a solar power plant. Shugar notes that Flex is already building NEXTracker's controller. GTM Director of Research MJ Shiao points out that the NEXTracker sale price sets the mark for the largest PV balance-of-system (BOS) hardware buy to date. The only other deals that came close were Gibraltar's acquisition of RBI for $130 million and SolarCity's acquisition of Zep for $158 million. Shiao adds, "Tracking, specifically horizontal single-axis tracking, continues to be the fastest-growing structural BOS component and is expected to make up nearly 20 percent of ground-mount projects installed globally this year. The U.S. leads this market, where over 60 percent of ground-mount projects are installed with trackers -- and that share is growing. We expect the market for trackers will reach nearly $5 billion by 2020." Shiao adds, "Flex helps tackle a couple of big concerns with NEXTracker. First, it addresses the big elephant of bankability that's incumbent with any small hardware provider. Second, it gives more credibility to NEXTracker's story that it can tackle the huge demands for individual product reliability associated with its distributed tracking design." Last year, NEXTracker announced a $25 million B round led by new investor SJF Ventures, along with Tennenbaum Capital Partners and existing investors Sigma Partners and DBL Investors. Shugar said, "We delivered about 275 megawatts in 2014...but this year will be north of 2 gigawatts." He also told GTM that production capacity is being ramped to over 500 megawatts per month. Shugar rattled off the advantages of his firm's design: maintenance costs are lower, it's easier to clean, it can be driven through, grading requirements are decreased -- but the most prominent edge that NEXTracker has is this: "We [need] less steel, and at the end of the day, we win on less steel." Shugar spoke of a 30 percent reduction in the number of piers -- which means saving on tens of thousands of foundations in each of the large Latin American projects his firm is building with SunEdison. 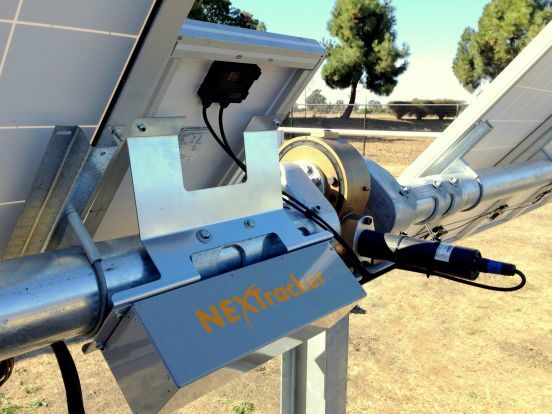 SunEdison awarded NEXTracker contracts for up to 1.85 gigawatts' worth of ground-mounted trackers over the next three years. In a previous interview, Shugar said that although there are more than 100 tracker makers, he views the top manufacturers in the U.S. as Array Technologies, SunPower and First Solar. Other tracker vendors include, Sedona Energy Labs, PV Trackers and QBotix. Trackers can improve a PV system’s output by up to 40 percent over a ﬁxed-tilt array, according to the GTM Research report Solar PV Balance-of-System Markets: Technologies, Costs and Leading Companies, 2013-2016. Tracking systems have a larger area footprint per megawatt, so space-constrained areas will be less attractive for trackers. Typical land use for fixed PV can be 4 acres to 5 acres per megawatt, while a single-axis tracking system will use 4 acres to 7 acres per megawatt, depending mostly on module selection, according to the report. Global demand for solar trackers is expanding faster than the overall solar industry, as markets move to higher-irradiance locations where trackers provide convincing boosts in power production. Here's some video and stills of Flextronics' newest addition.